iMR Systems will change your business! Our range Autonomous Mobile Robots (AMR) allows you to automate your processes in a flexible and much more efficient manner. We are the Official integrator of Fetch Robotics Inc. for Belgium, Luxemburg and Germany. AMR’s … FASTER AND SMARTER ! Wire guided AGV’s appeared in the early ’60’s in the automotive industry. The introduction in the ’80’s of laser navigation allowed AGV applications in a much wider field. Nowadays one can find AGV’s with limited payloads in f.e hospitals up to the aviation industry to transport 65T airplane bodies. 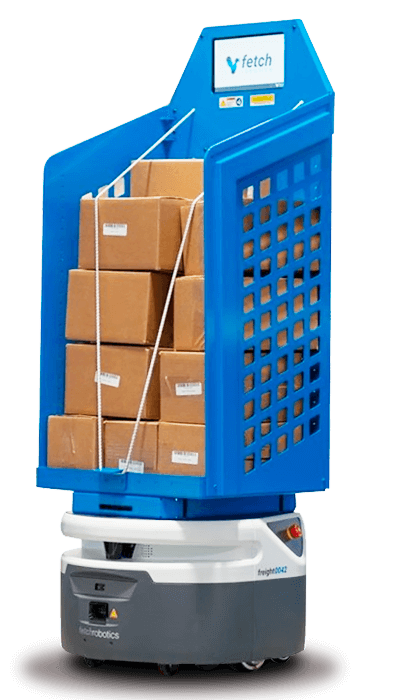 However especially large AGV fleets often behave very clumsy and their performance is reduced by the actual environment in which they operate. The coexistence of AGVs with pedestrians or other vehicles often causes issues. Around 2000 researchers approached the problem differently and AMR’s were born. AMRs don’t have a fixed guide path like AGVs but move completely free in the available 2D space. They move around objects or persons that block their path and always find the fastest route to their destination. Via sensor fusion they map the environment in real time and localise their position accurately without the need to install infrastructure. That’s why AMRs are both Faster and Smarter. At the start of each project we setup a project team which has the know-how to deliver projects that exceed your expectations. An experienced PM will be appointed who will be your single point of contact (SPOC) for the entire duration of the project. The PM translates your needs into a technical specification for the project team. Each job follows our proven project execution methodology with all necessary intermediate validation steps. 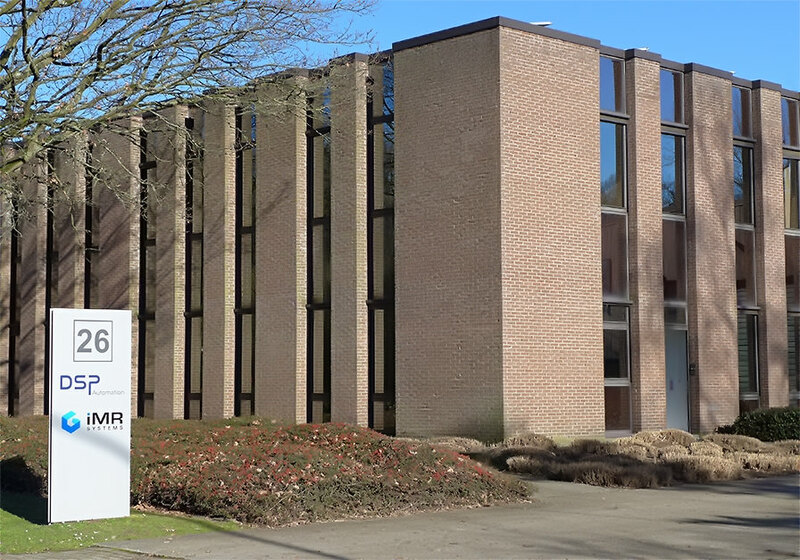 In our demo center in Wilrijk (Antwerp) a Factory Acceptance Test (FAT) will be conducted. This allows us to validate each application 100% and tune the requirements wherever needed. After the short installation phase, a Site Acceptance Test (SAT) will prove the specification under the actual conditions of operation. Once the iMR System goes in production, our Service department comes into play. A dedicated team of trained service engineers is at your service 24/24, 365 days per year. Because we believe that conveyor technology, machinery, people and robots should work together in a flexible and smart manner, we created a new joint venture which has the capability to look at the bigger picture and really optimise your business. 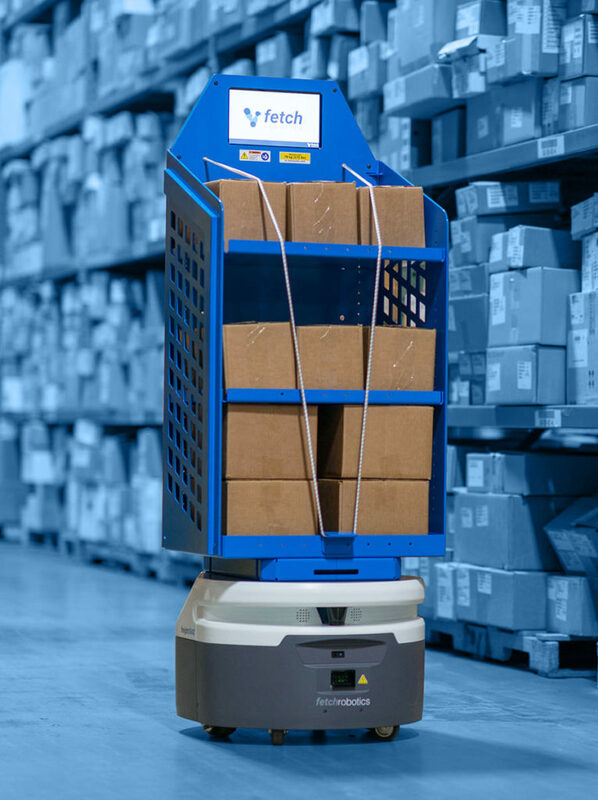 iMR Systems is the official integrator of Fetch Robotics Inc. for Belgium, Luxemburg and Germany. We design attachments to adapt the AMR to your exact needs with respect to load handling or operator interface. In case your requirement exceeds our standard range? No worries: iMR Systems has a design team at your service to deliver top quality custom designed vehicles. Beside a highly skilled installation team, iMR Systems disposes of an experienced software team with a track record of 20 years in AMR system integration. Pieter started his career in the early ’90’s in the baggage handling system industry, initially as controls engineer and later as project manager. Around 2000 he saw the potential of AGVS in intra-logistics and developed the business in Europe for a US based AGV manufacturer. In 2010 Pieter decided to found his own AGV Co and developed with his young team a smart multi agent AGV fleet control system. The distributed conflict free routing system meant a huge step forward in the evolution from AGV to AMR. In 2017 his company was acquired by a large German group which was for him the occasion to start a new robotics venture together with Chris PEETERS founder of FT Solutions and DSP Automation. Chris started his career as an Electro-mechanical engineer at a company in Duffel, but soon it became clear that this was not what Chris intended to continue doing for the rest of his professional life. 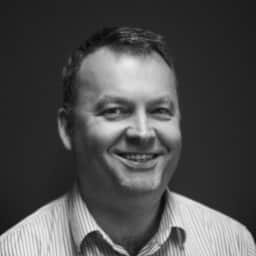 Chris made a career switch and started as a salesman of MRO products, after which he grew up to become commercial director of a large multinational. In 2012 Chris decided to start up his own business and founded FT Solutions, offering total solutions for internal transport. 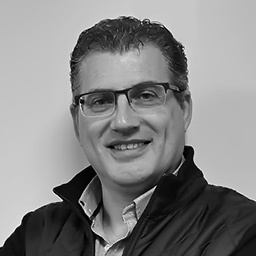 Chris became even more ambitious and founded in 2016 DSP Automation, offering full-service automation and Robotical Systems. After some time it became clear that not only automation is important in the industrial market but as well robotics, so Chris founded the company iMR-systems, which is mainly involved in robotics and AGVs. we need to determine the operating times: 1 shift, 2 shift or 3 shift? How many days per week? we need to build load specifications: what are the physical dimensions of the different loads? What is their maximum weight? we need to review the order interface to the AMR system. Often a WMS or ERP system generates the movement orders. In some cases there are also equipment handshakes with f.e. automatic doors or a fire detection system. we need to prepare a detailed work plan together. Are we going to implement the AMR is several phases? What are the different validation steps in the implementation phase?